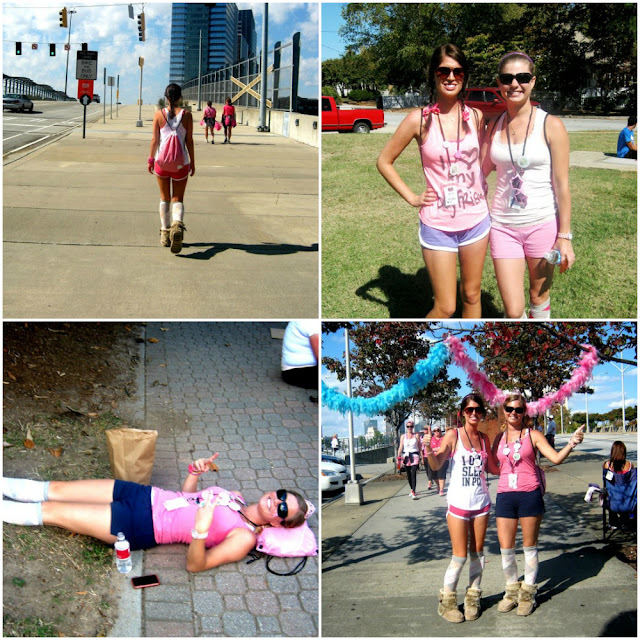 once upon a time, me and my bff participated in the Susan G. Komen 3 day for the Cure. wore pink all day and walked. 60 miles. it was one of the hardest things i have ever done, but it was also one of the most gratifying. and so that was about a year and a half ago. and i have a lot of happy memories and pictures to remember it by. but now i have one more thing. a couple of weeks ago my sister's cutiepie boyfriend was watching tv in Boston. the show went to commercial, and then for one split second he thought he saw my face. He rewound, and paused, and he was right. he took a picture of my face and sent it to me asking if i knew i was in a commercial. and well, i had no idea. none whatsoever! its a pretty great cause, and a powerful commercial. and hey! you even get a little glimpse of someone you know. maaaaybe a little tired and hot. but its meeee! AHH! SO cool!! And so proud of you!! That is awesome that you did the 3 day! nice!! I am participating in my first walk this year and I am so excited! love that you did the 3 day... and that you made it in a commercial! ive wondered about doing the 3 day... the only thing that is not appealing to me is the whole sleeping in tents thing. i know that probably makes me sound bratty, but i just think i wouldnt get any sleep... and i feel like you'd really need to sleep to walk that much, you know? I KNEW I saw you! How awesome to accomplish something so GREAT and for such a wonderful cause!! This is so funny because it's so close up and you didn't know you were in it!! Love it! awesome that you did the 3day walk. && its pretty awesome you were in a commercial and didnt know it. How cool is that?? It sounds like a great cause. Very cool! But may I ask how you walked 60 miles in those shoes?! My feet would have been killin' me! This cracks me up! 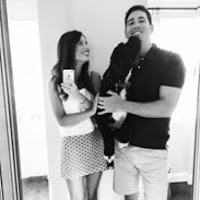 I wanted to write you a little something asking if you were in this commercial, but then thought, "Oh shoot there are hundreds of amazing women and men who do this!" I'm so glad others were thinking the same thing and that it actually IS you! I work for the Komen Maryland Affiliate and love that you have participated in this walk and write about it! You're amazing! What an awesome thing to participate in! And how cool that you were in a commercial and didn't even know! I'm here in Georgia and I've only seen it once. But I just knew it was you! I haven't seen the commercial but how awesome!